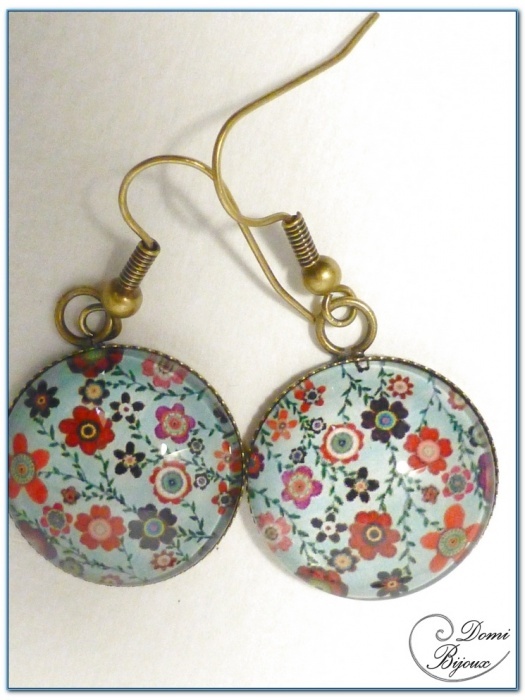 Fashion Earrings bronze finition with cabochons. 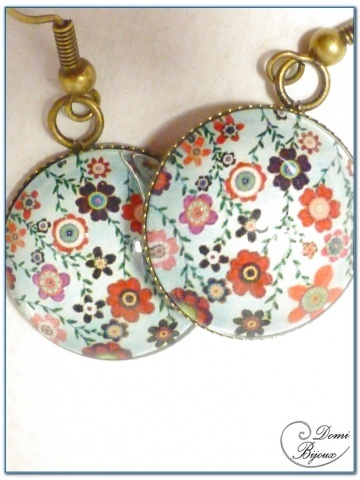 This fashion earrings bronze finish are made with two cabochons of 20 mm diameter, flowers on a blue background pattern. 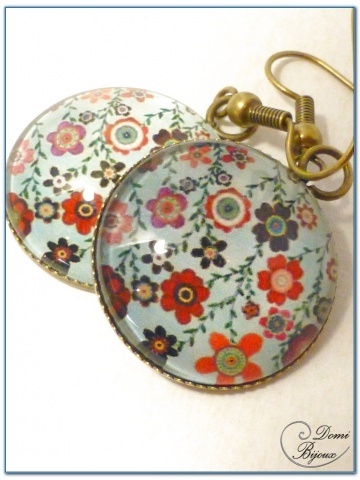 This cabochons are inserted in bronze finish frames, suspended on two hooks. The blue of cabochons with the bronze colour give this earrings a romantic style. You will receive your earrings in a cloth pouch closed by a link to store them carefully when you don't wear.